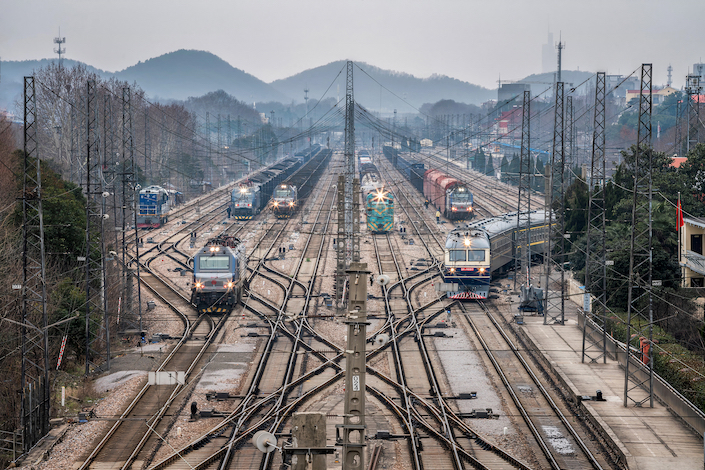 Spending on China’s infrastructure such as roads and railways has given a shot in the arm to the country’ fixed asset investment. Excluding rural households, China’s fixed asset investment — a key driver of domestic demand that includes infrastructure — grew 6.1% year-on-year in the first two months of 2019, up 0.2 percentage points from the growth in the whole year of 2018, according to data released by the National Bureau of Statistics. The increase was partly driven by infrastructure investment, which rose 4.3% year-on-year in the two months. Expansion in spending in roads and railways accelerated to double-digit rates during the period, bolstering infrastructure investment. Investment in real estate development rose 11.6% year-on-year, the strongest since the figure recorded for the first 11 months of 2014. Year-on-year growth in retail sales, which include spending by governments, business and households, remained unchanged at 8.2% from that in December. Value-added industrial output, which measures production at factories, mine and utilities, grew 5.3% year-over-year in the January-February period, down from a 5.7% rate in December.